Flirty Aprons is offering 50% off plus FREE Shipping on holiday aprons as part of their holiday apron sale. 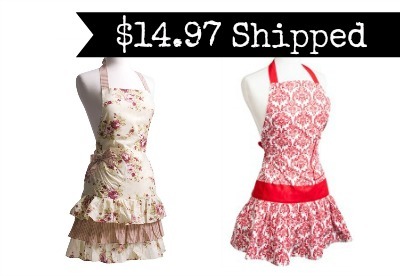 Use coupon code HOLIDAY50 at checkout and get your apron for $14.97 shipped, regularly $29.95. These aprons make great gifts and are nice to have on hand for baking, crafts, and more! There are several patterns to choose from so make sure to check it out! Coupon code valid through 12/11. Shipping is FREE.